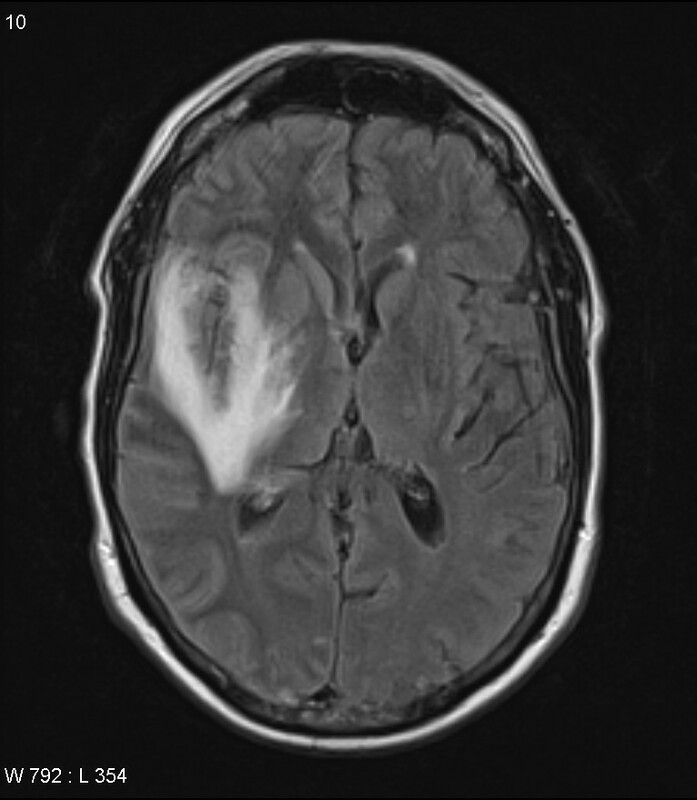 A 46-year-old male is bro ught to the emergency department by his wife due to a seizure event. She reports that prior to the event, he complained of headache, fever, and nausea. She also reports her husband appeared confused. On exam, the patient cannot clearly answer questions. 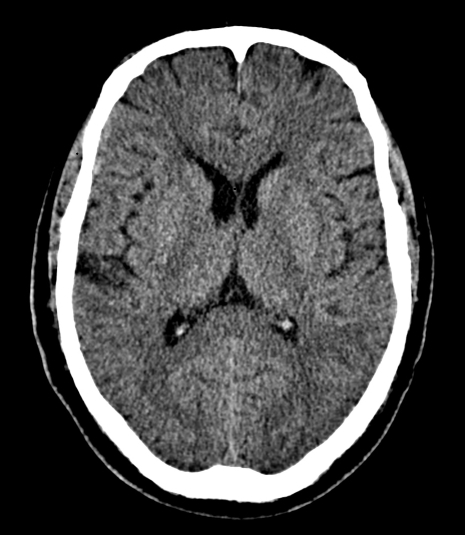 A CT of the head shows no evidence of a hemorrhage, or a space-occupying lesion. 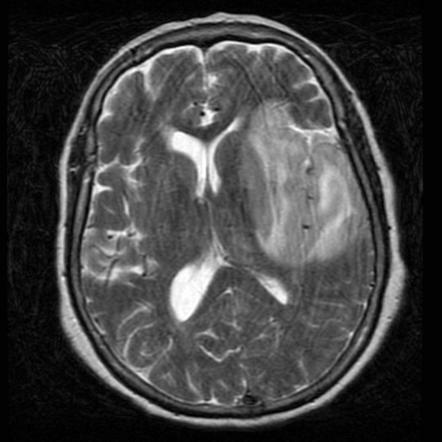 MRI of the brain is shown. A lumbar puncture is performed, and cerebral spinal fluid analysis shows a normal opening pressure, a lymphocytic pleocytosis, normal glucose, and elevated protein. PCR is positive for herpes simplex virus-1.